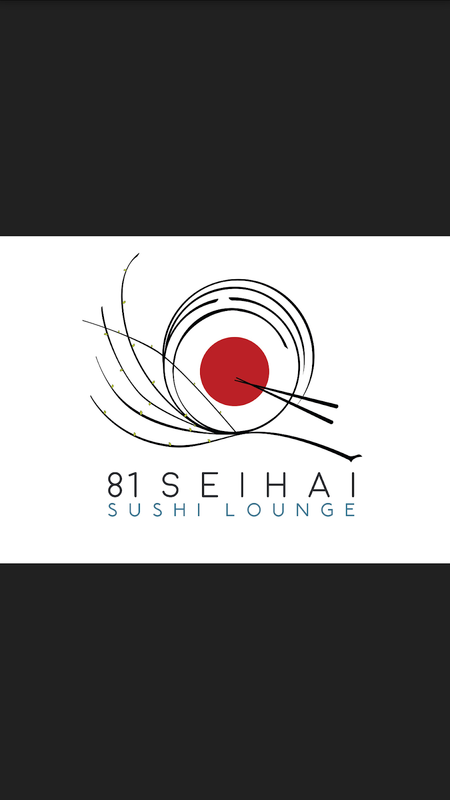 81 SEIHAI Sushi Lounge opened last April 2018 - it is a hotspot to experience great fusion Japanese cuisine, an Instagram-worthy ambiance in every corner, fantastic yet non-obtrusive music as you dine, and its version of Omotenashi (Japanese Hospitality). With the help of Google Maps or Waze, it will be easy to locate this restaurant along Timog Avenue. There's a parking space in front so no worries for people bringing their car with them. Upon entry, you'll notice the working station. Here is where the chef prepares sushi and makis. You'll be able to see him prepare your food and even opt to seat on the chairs in front of him. You can get alcohol-infused drinks there as well. I love all the table set-up. They seem to have a perfect spot for anyone - may it be a solo dining, group, family etc. You'll find a space for you. While waiting for our orders, I couldn't help it but look at all the dragon paintings they have there. Very intricate and beautiful murals painted by hand by artist/photographer Mandy Martinez . Being in Seihai felt like entering an expensive restaurant because of the interior but when you look at the pricelist, you'll know that they serve delicious Japanese food at a very reasonable price. I immediately noticed the socket and usb plug on this long table. This is perfect for group meetings for work or for school since you wouldn't have problems with charging your gadgets. Salmon, cream cheese, avocado. It's fried to perfection -- crunch on your first bite. At first, I was hesitant to try this since it's Jalapeno but I love to try the raw tuna salad on top so I did. -- turns out that this was actually my favorite sushi that night. The spiciness level was bearable even for someone like me who can't eat spicy food. There is definitely something for everyone if you're getting this boat. It has a lot of varieties of maki, sushi, nigiri, dragon roll, hand rolls, and sashimis etc. Looking at it makes me want to back to 81 Seihai immediately! As much as I love sashimis, it's not all the time that I am able to eat it because for some restaurants and buffets, I doubt the freshness of the raw fish. I didn't think twice though when dining here in 81 Seihai 'cause I know that chef has prepared the freshest fish... needless to say, the salmon sashimi in this sushi boat melted in my mouth that one slice of it wasn't enough! It tasted clean and fresh. I love their drinks - you can choose drinks depending on how you like them made: milk-based or coffee-based. We went for the milk-based. :) My favorite is the strawberry drink above. Had that all by myself. hehe. At first spoonful of the broth, I was not taken aback since the spiciness level was something I was able to tolerate but this just gets spicier and spicier upon eating. Perfect for spicy food lovers but something I can't eat a lot of -- kahit kimchi pa 'yan. Very creative and perfect for people exploring fusion dishes. This one is a salmon steak on top of their mashed potato. While I love raw salmon more than raw tuna - this sesame seared tuna captured my heart. hehe! I love it paired with the creamy risotto so it's a balance of a creamy and savory taste. I posted this on my IG Stories that night and I immediately got messages asking me information about 81 Seihai since some of my friends wanted the live acoustic session for a night out. One couple I know immediately went there the night after!